With winter closing in and the snow falling relentlessly, Ari Thór Arason discovers that the victim's mother and young sister also lost their lives in this same spot, twenty-five years earlier. 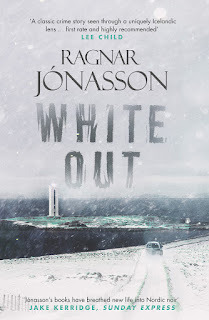 As the dark history and its secrets of the village are unveiled, and the death toll begins to rise, the Siglufjordur detectives must race against the clock to find the killer, before another tragedy takes place. 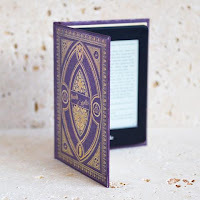 A new book from Ragnar Jónasson causes such excitement in the reading community as so many readers, myself included, eagerly await the next adventure of Ari Thór Arason. 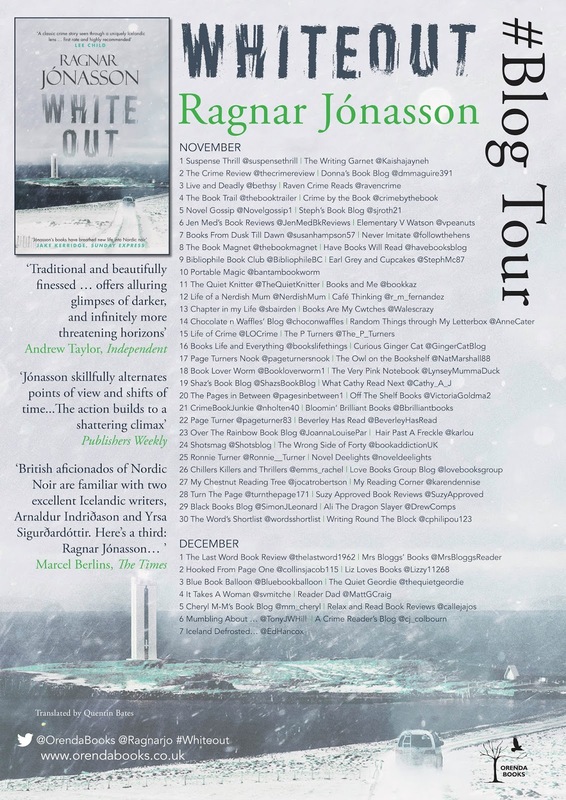 I was shivering in anticipation of the chilly temperatures and the chilling storyline I might find in this latest instalment of the Dark Iceland series. As with it's predecessors, Whiteout is set before the events of Nightblind but I wasn't confused at having read Nightblind much earlier, it just felt like it slotted in nicely to fill in a few blanks. Whiteout has chills throughout from the snowy cover to the almost ghostly feel as 3 women from the same family are compelled to throw themselves over the cliffs at the same spot but several years apart. Ásta is the latest victim: her death appears to be suicide but the police think something more sinister could be at play when they find out that both her sister and her mother perished after falling from the very same cliffs. Tómas is still settling into the Reykjavik police force and feels like he has something to prove so he calls on his ex-colleague, Ari Thór Arason, to help him with this case. Ari Thór has recently been reunited with his girlfriend, Kristín, and he won't make the same mistake twice about accepting a job without consulting her. Kristín, even in her current state and so close to Christmas, is surprisingly amenable and agrees to accompany Ari Thór to the eerie semi-deserted village of Kálfshamarvík. With few people still living there, the ones that remain all happen to have been there at the time of all three deaths. Certain that the killer is among them, Tómas and Ari Thór have no intention of declaring Ásta's death a suicide so they can get home in time for Christmas. 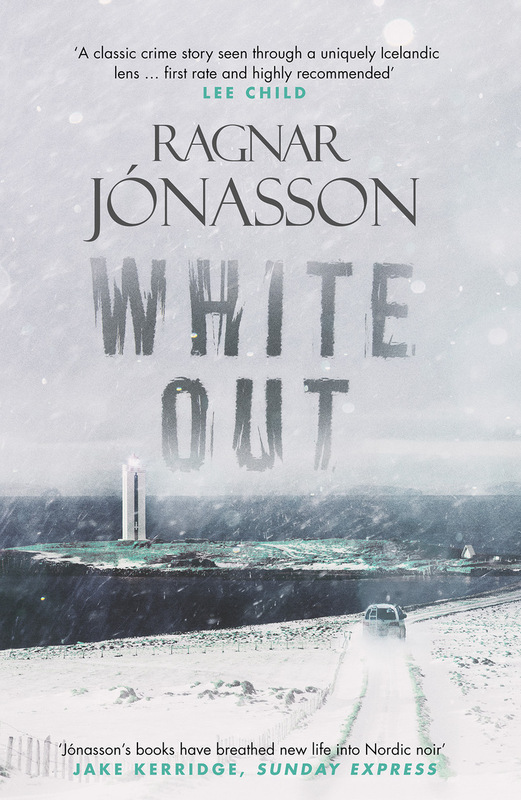 After feeling a little overwhelmed with characters and Icelandic place names in Blackout and Rupture, I felt that Whiteout brings us back to the old-fashioned whodunnit murder mystery style of Snowblind and Nightblind. There were just the right number of characters for me to keep track of and I loved the coastal location. I could just imagine the craggy headland with the lighthouse standing proud and aloof, seeing everything with its bright eye and holding all the village secrets in its locked tower. Although I do love the main character of Ari Thór, I don't think he is the easiest guy to get along with; he doesn't seem to let people get too close to him. I'm sure there is a good reason for this and there is perhaps a hint of why this could be at the end of Whiteout which left us with a nice little teaser to keep us on tenterhooks until the next instalment...which I hope is in the not too distant future! 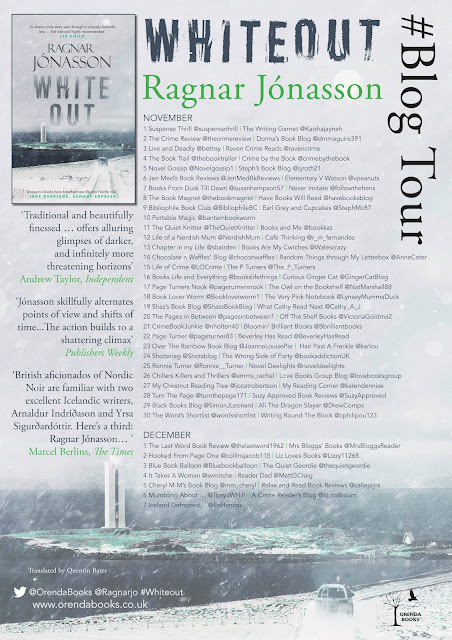 Whiteout is another superb instalment of what is turning out to be a majestic crime series and it's one of those series that is so atmospheric that, even though you know the ending, you could read it over again and enjoy it every bit as much as the first time.